Taking the decision to have a hip replacement, even when young, can have a dramatic positive effect your ability to work, exercise, enjoy hobbies and have an active social life. Our team will explain how modern advances in the design of hip replacement have led to a longer lifespan for your hip. This means you can expect a hip replacement to last 20 years in 80% of patients. 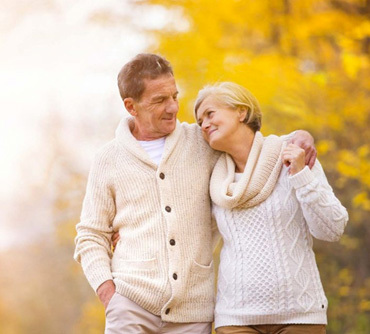 Jon Conroy a leading hip surgeon has performed well over 2,000 hip replacements and with clinics in Harrogate and Leeds can offer fast and flexible appointments. Relief of pain is the main advantage of hip replacement. Most patients will also improve range of movement and activity after surgery. After the initial recovery period you will be back to normal in 6 to 12 weeks after surgery. Patients generally use walking sticks for 4-6 weeks after surgery, returning to driving at 6 weeks and back to full normality at 12 weeks. Getting you mobile again will help improve your quality of life and the options open to you. Sleep is improved, largely due to the reduction in pain, and related problems such as depression are eased significantly. Hip replacement surgery has one of the highest success rates when compared to other forms of surgery. Technology means we can help the young as well as older patients suffering from pain to return to their active lifestyles. What signs and symptoms suggest I may need hip surgery? You will know when you are ready. The hip will be painful and affecting your quality of life enough to accept the small risks of complication from the operation. Often patients describe struggling with a lack of sleep, reduced walking distance, and pain killers become less effective. You can struggle to work, have difficulty participating in social and family life, and even struggle or be unable to put on shoes, socks or cut toe nails. Over time, the surfaces on the hip joint can start to wear. This can be caused by osteoarthritis – a condition that causes joints to become painful and stiff, - or from a previous injury to the hip, such as a sporting injury. Osteoarthritis can become painful as joints become inflamed when lining between them gets damaged or wears away. Without the protection of this lining, the rough surfaces of your bones rub together as you move, causing pain during everyday tasks such as walking or getting dressed. Total Hip joint replacement is intended for use in individuals with severe joint disease resulting from degenerative and rheumatoid arthritis, avascular necrosis, fracture of the neck of the femur or functional deformity of the hip. You will know when you are ready. The hip will be painful and affecting your quality of life enough to accept the small risks of complication from the operation. What type of hip problems affect the younger patient? The hip is a ball and socket joint. Some patients are born with or develop a swelling deformity on the ball and/or on the femoral neck, causing impingement or catching within the joint and pain. 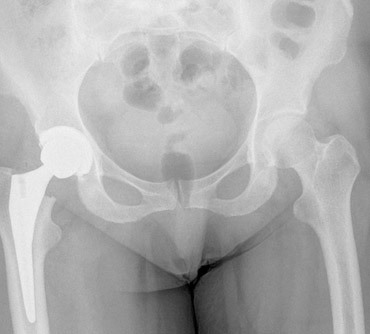 Others experience hip impingement (a deep socket which may require trimming) whilst a shallow socket can cause hip dysplasia, a condition in which many cases are only diagnosed during adolescence or adulthood, and again impacts on movement. The labrum, a cartilage ring that runs along the rim of the hip socket, can tear after a single injury such as a fall or as a result of repetitive injury. It is a common cause of hip pain felt in the groin, back, knee or lateral (side) aspect of the hip. It has been reported that 66% of patients with mechanical symptoms including clicking, catching, popping or feeling of giving way reveal a labrum tear. There is good evidence to support repair of the labrum in the case of a tear, but it is a challenging procedure and requires surgical expertise and experience. A sound repair however will preserve the integrity and function of the hip joint. This type of surgery is performed through key hole or hip arthroscopy surgery. In some young patients the condition has progressed to degeneration or osteoarthritis of the hip. The option to have a hip replacement even when young can have a dramatic positive effect on the ability to continue work and enjoy a social life. Mr Conroy can explain the modern advances that have led many of his young patients to choose the benefits of a hip replacement whilst being reassured about the future of their hip if it wears in the future. Should I consider a resurfacing hip replacement? Resurfacing hip replacements may have a role in men under 55 years of age with active lifestyles. Mr Conroy along with a large proportion of hip surgeons have chosen not to perform hip resurfacing in any of their patients due to concerns about metal on metal bearing surfaces and higher than expected failure rates. Patients with resurfacing hip replacements often have to undergo annual blood cobalt and chrome levels to monitor the performance of the hip and some private insurance companies won’t cover patients choosing resurfacing implants. Can I have both hips replaced at the same time? Yes you can. You have to be physically fit for the anaesthetic and be prepared for the challenge of a difficult recovery in the first couple of weeks after surgery. The benefits are less time away from work or social life and a single anaesthetic. I am only young but in pain, should I wait or act now? 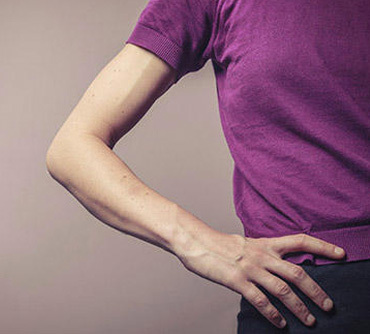 In young adult life the body can compensate for the damage caused by many conditions. Patients may have minimal symptoms of mild pain after exercise or restriction in range of movement of their hip or hips noticed for example by the inability to sit crossed legged. Over time the symptoms can restrict activities such as running, sitting for prolonged periods and getting out of a car. Sometimes an injury to the hip can precipitate a labral tear with a subsequent sudden deterioration of symptoms. Continued advancements in treatment and a new generation of hip implants and techniques means we are helping an increasing number of younger people who need surgery but don’t want to wait or to live with pain. In younger patients potential complications need to be discussed fully as the demands on a hip replacement are far greater than in the elderly population. We now have more confidence and knowledge about the wear rate of new prosthetics, which allows us to be less restrictive on an age basis as people are now keeping active longer than ever before. Yorkshire Hip Clinic uses state-of-the-art robotic assistance aids to ensure consistent and accurate positioning of implants.This accurate placement is predicted to give optimal performance of your new joint replacement. Our aim is to give you the best functional outcome and longevity for your hip or knee replacement. Learn more on our ‘Robotic-assisted surgery’ page. Mr Conroy provides over ten years of expertise in hip preservation surgery. Performing regularly over 150 hip arthroscopy surgeries per annum he treats a variety of sports injuries and femeroacetabular impingement surgery including labral repair the hip. Patients are generally younger in age from 14 years upwards. If you have concerns about a poorly performing hip replacement Mr Conroy has the experience and current knowledge to advise on the option of revision surgery or simply reassure you that further surgery is not required. Revision surgery is more complex than standard hip surgery. It requires the ability to deal with complex problems of bone loss, fractures around the prosthesis and an understanding of hip biomechanics. Mr Conroy performs complex hip or revision procedures on a weekly basis. If you would like a small scar and potentially quicker recovery then ask about minimally invasive surgery. Mr Conroy is faculty on MIS hip courses teaching other Consultants about the technique. His preferred approach is the Direct Superior Approach as he believes it reduces some of the risks associated with the Direct Anterior Approach such as femoral fracture. MIS is not always the best option if the overall success of the hip replacement is compromised due to limited visualisation during the procedure. Patients have choice of hip replacement types. These include cemented or uncemented hips and differing bearing surfaces including ceramic. The type of hip for you depends on a variety of factors and it is best to have this discussion wth Mr Conroy at your consultation. Mr Conroy generally uses Stryker products including the uncemented Accolade II / Trident or cemented Exeter hip replacement.